Get ready for the most colorful migration of the year with Quinta Mazatlan’s “Spring Songbirds, Colorful Travelers” from 3 to 5 p.m. on Saturday, April 7. Visitors will be introduced to the brilliant variety of songbirds that migrate through the Rio Grande Valley on their journey north, including warblers, buntings, tanagers, vireos and more. The two-hour program includes an indoor, interactive presentation introducing the “how’s” and “why’s” of bird migration, along with tips and tricks on birdwatching during this fascinating annual phenomena. The even will include a guided walk around the park to look for birds. 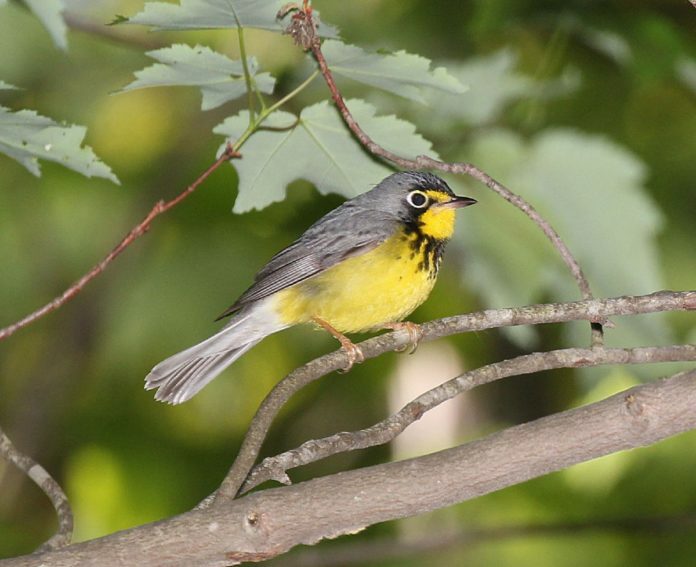 Visitors will learn how to identify spring migrants, where to look for them and how to attract them to their yards. The Hobbies in Nature series takes place the first Saturday from February through May. The program fee is $5 per person with no advanced registration required. Quinta Mazatlan is located at 600 Sunset Drive in McAllen, one block south of the La Plaza Mall on 10th Street. For more information, contact Quinta Mazatlan at (956) 681-3370 or visit www.quintamazatlan.com.